Aer Lingus is adding three new routes from the U.S. to Ireland in 2016. The flights will depart from Newark, Los Angeles and Hartford and arrive in Dublin. This will mark the biggest expansion for the carrier since its launch in 1985. The Newark and Hartford flights will depart daily, and the Los Angeles route will fly out five days a week. With these new additions, the number of routes Aer Lingus flies from North America to Ireland will increase from nine to 12. The airline currently flies to Dublin from New York, Chicago, Boston, Washington, D.C., Orlando, Toronto and San Francisco, with two additional flights to Shannon from New York and Boston. Aer Lingus, once a oneworld alliance member, no longer belongs to major alliance. So what do you do if you’re a frequent flyer with this carrier? You can join the airline’s frequent flyer program, the Gold Circle Club, which lets you earn and redeem miles with Aer Lingus and its partners. And don’t forget to book your flight with a travel rewards credit card—such as American Express Membership Rewards, Citi ThankYou Rewads or Chase Ultimate Rewards—that gives you double or triple points for booking travel. Dublin has a lot to offer: more shades of green than you can imagine, medieval castles, charming locals and, perhaps most importantly, pubs serving Guinness on every corner. 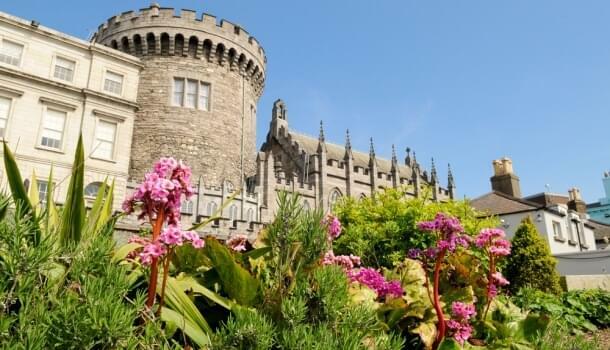 Dublin Castle, built in the 13th century, and the rather majestic St. Patrick’s Cathedral, founded in 1191, are iconic buildings in the city, offering plenty for visitors to explore. Looking for some greenery? Then Dubh Linn Gardens, located next to Dublin Castle, is a dream come true. The garden is a relatively new addition to the city, but it is a beautiful spot for a walk and a picnic. You could also stroll through Trinity College, the old stomping grounds of Oscar Wilde. The campus is an interesting mix of old-world charm and modern architecture, and it has the distinction of being founded by Queen Elizabeth I in 1592. Even if history’s not your thing, Dublin still has a lot to offer, including charming neighborhoods, loaded with pubs, cafes and restaurants, and art galleries, museums and cinemas. 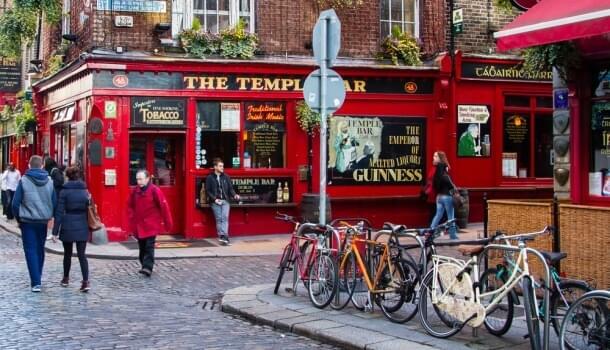 Exploring the city’s neighborhoods lets you experience Dublin like a local. You might even make a friend or two while enjoying a pint. Some favorite drinking spots include the Porterhouse, Kehoe’s, The Palace Bar and Bowe’s. If you’re a foodie and want to go beyond the standard Irish fare, head over to Chapter One, which has received a Michelin star; the Greenhouse, serving contemporary takes on Irish cuisine; or Patrick Guilbaud, a respected French restaurant. If you want more moderately-priced but delicious fare, there’s Leo Burdock Fish & Chips and Gallagher’s Boxty House. And for dessert, the Cake Cafe is a must.